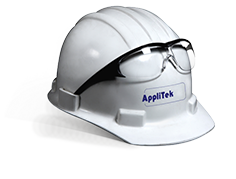 AppliTek provides leading-edge analytical technology to process industries, EPC contractors, environmental protection agencies and public health authorities. The Dunkirk LNG terminal monitors levels of free chlorine in process water. Our customer stabilizes and improves chemical recovery in their pulping process. The largest renewable energy plant in the Middle East SHAMS monitors critical process parameters in steam production. Advanced anaerobic control enables Novozymes to optimize waste water treatment and decrease carbon footprint.